Toronto, June 14, 2018- With a long history of introducing non-traditional outdoor advertising mediums to the Canadian industry, Wild On Media adds another feather in its cap. The unique shop not only recently entered the much-untapped Taxi Top market but also Canada’s first digital (video) Taxi Top fleet. It recently established a strategic partnership with a brand-new taxi service, Flash Taxi, that is licenced to serve downtown Toronto. The first batch of these advanced video-playing digital taxi tops is 30 faces (15 taxis) strong and growing quickly after garnering huge interest from various advertising agencies and brands. Wild On Media also simultaneously rolled out200 faces on 100 traditional taxi tops in Toronto, which is scheduled to quadruple in a few weeks. It will soon also be offering taxi wraps and in-taxi ads. 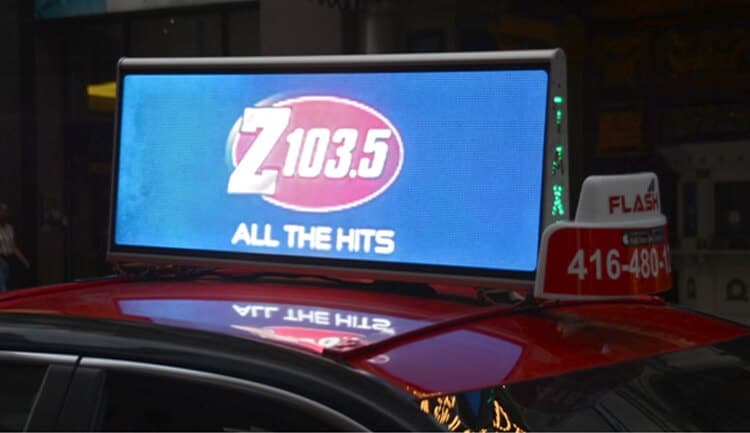 “The idea makes much more sense, as LED Video panels and billboards are popping up all around the city and Taxi Tops are already a successful advertising medium,” says a confident company president George Christidis. He adds, “This (digital taxi tops) is an all-new form of advertising which gives great power to brands. With GPS and mobile Internet-enabled technologies, brands can choose which taxis to run their ads based on the time of the day and the taxi location. And who would have guessed taxi top ads don’t have to be long-term?” adds Christidis. Traditional taxi tops involve production and installation of printed banners, making advertisers choose the minimum of 4-week long campaigns. Digital taxi tops play videos/ graphics which can be changed on the fly. 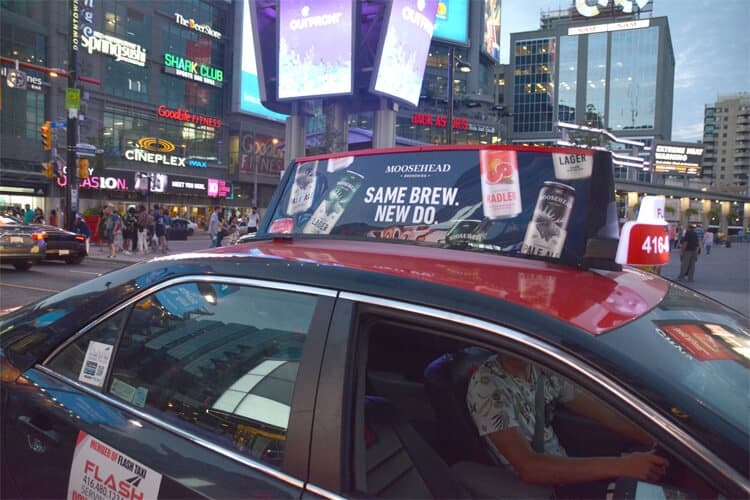 Wild On Media bagged its first taxi top client with Moosehead Breweries. The brand is targeting downtown Toronto throughout the summer to promote the newly redesigned packaging for Moosehead Lager, Moosehead Pale Ale, and Moosehead Radler. Taxi tops are part of a wider outdoor campaign designed by Moosehead’s media agency, Media Experts.